MuseScore 2 is a truly ground-breaking release! It is the first major new release of MuseScore since 1.0 over four years earlier, and it includes tons of new features and improvements that have been requested by users over this period. See Release notes for MuseScore 2.0 for a list of the major changes. MuseScore 2 retains the same basic easy-to-use interface as previous releases, but with a number of significant improvements, including a brand new Start Center to simplify score browsing and creation, an Inspector window to provide easy access to properties of individual notes and other elements, and customizable palettes to allow you to group your most commonly-used score symbols together. MuseScore 2 also provide a new Continuous View mode to allow note input uninterrupted by line or page breaks. MuseScore 2 adds some powerful new editing tools. One of the most important is a linked parts facility that allows the parts for your ensemble scores to not only be saved as part of the score but also be linked so that changes to the score are automatically reflected in the parts and vice versa. Other new editing features include dynamic text styles that allow you to control the formatting of text before or after adding it to your score, a piano keyboard toolbar for note input, a smart chord symbol parser to provide much greater flexibility in entering and rendering chord symbols, a selection filter for more control over copy and paste, a repitch mode to let you change pitch while keeping the rhythm, explode and implode commands to facilitate writing for multiple instruments, measure split and join commands to free you from the constraints of the time signature, albums to combine multiple scores into a single larger work, and much more. One of the major new features of MuseScore 2 is support for a wide variety of different tablature notations - designed to meet the needs of everyone from rock guitarists to folk mandolinists to lute players in Renaissance ensembles. MuseScore 2 also adds support for slash notation and rhythmic slash notation , piano pedal change markings, guitar fret diagrams , falls, bends, figured bass , bagpipe embellishments, and a huge array of symbols from the open source Bravura font. A significant effort went into improving basic score layout, so scores look better right out of the box and require less manual adjustment than in previous versions. 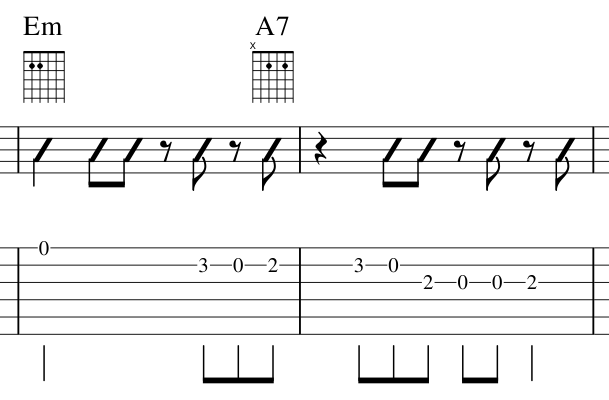 Length and position of ties, accidental stacking, beam grouping, handling of collisions between notes in different voices, default height for a number of markings - all of these and more are much improved over previous versions, and indeed over rival commercial scoring programs. MuseScore 2 includes the FluidR3 SoundFont for more realistic rendition of instruments, as well as a number of other playback improvements including mid-score instrument changes , new flexible swing settings , and interpretation of more symbols such as crescendo, fermata, tremolo/rolls, mordents, and tempo markings. MuseScore 2 also provides a metronome and looping controls for playalong purposes, and it features improved JACK support for interoperability with other programs. In addition to greatly improved MusicXML and MIDI import and export, MuseScore 2 can now import Guitar Pro files, giving you access to the many scores available online in that format. MuseScore 2 can also export to MP3 format and lets you define regions of your score to save as image captures for inclusion in text and other types of documents. MuseScore 2 has a significant number of new accessibility features. It supports the NVDA screenreader out of the box, and can be set up to work with JAWS as well. 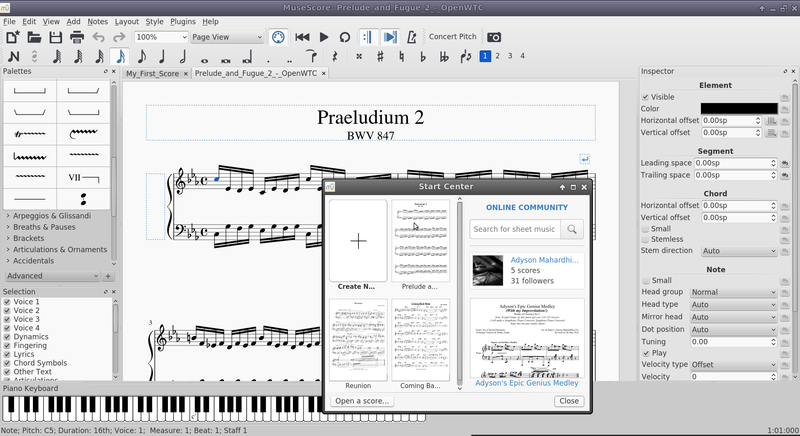 Menus, dialogs, toolbars, and score navigation have been made screenreader and keyboard friendly to allow MuseScore to be used as an interactive “talking score”. 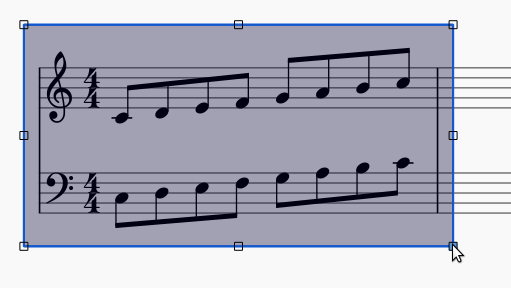 While score editing is still not fully accessible, work is continuing to improve this for future versions of MuseScore, so that blind musicians will have the same ability to create beautiful printed scores as sighted ones. MuseScore 2 includes an extensive online handbook , available in HTML and PDF forms, as well as context-sensitive online help accessed via the F1 key that can deliver content from the handbook as well as other. The MuseScore 2 user interface itself has been translated in whole or part into more than 50 languages, with updates provided via the web to ensure you always have access to the latest updates available. Have fun!